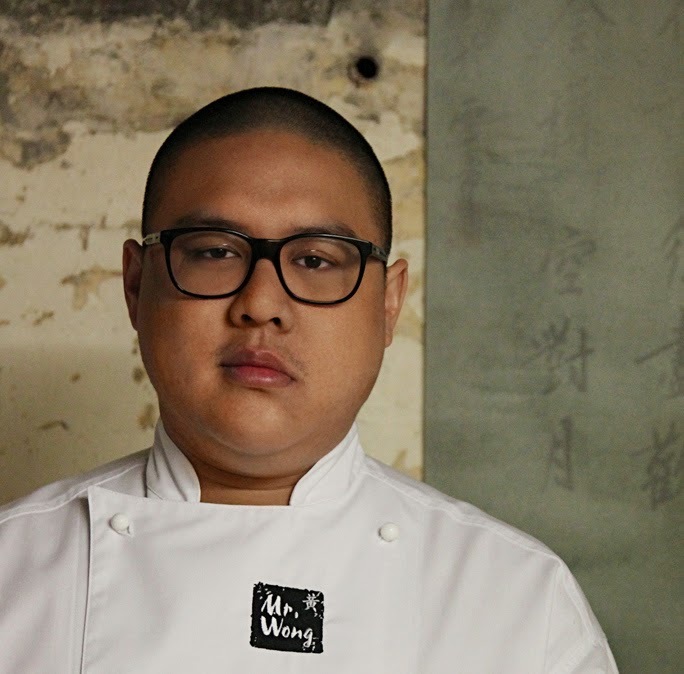 Merivale's executive chef Dan Hong @Hongsta_gram has published his first book, Mr Hong. Photo: Jason Loucas. Dan Hong’s first book, Mr Hong is a collection of stories about the life experiences that led a young teen obsessed with rare sneakers and rap from Sydney’s western suburbs to carve out a name for himself as one of Australia’s top chefs. I was lucky enough to be invited to copy edit the book, which Hong co-wrote with the lovely Melissa Leong. The book follows Hong’s journey along a colourful path from his mum’s Vietnamese restaurant in Cabramatta to working at some of the world’s best restaurants and teaming up with Merivale gastropreneur Justin Hemmes. The book includes recipes from Mr Wong, ElLoco and Ms G’s as well as food that Hong likes to cook, eat and share. Following are some of the dishes he says represent defining moments in his career. As a kid, I grew up eating banh mi on the streets of Cabramatta. As well as being food from my heritage, it’s an iconic sandwich. What I love about banh mi is the balance: there’s the acidity from the pickles, the richness of the pork and the freshness of the herbs. Mini pork banh mi is the defining dish at Ms G’s. This noodle soup is my death row meal. I’ve tried it all over the world and nothing beats Mum’s version. It’s got lots of lemongrass and chilli and is for the real food lover who likes funky shrimp paste, pig’s trotters and blood jelly. It’s a dish that acknowledges the influence my mum has had on my cooking career. Mum still inspires me. I go to her house every Monday for dinner and she makes a Vietnamese feast for all her kids and grandkids. The El Loco Hot Dog sums up my food philosophy: it’s about eating delicious food with your hands and making the dining experience a lot of fun. The important thing about my hot dog is it has a nicely smoked sausage that has snap when you bite into it. There also has to be more sausage than bun; there’s nothing worse for the hotdog to bun ratio to be out of whack. I like to play around with classic dishes at Mr Wong and this is my take on a classic Cantonese dish that utilises native ingredients such as Warrigal greens, which have lovely oceanic overtones. As well as showcasing Australia’s fantastic range of cultivated mushrooms, it’s a dish that reflects my mixed heritage. As Best Young Chef in 2008 I won a scholarship and went to work under Wylie Dufresne at WD-50 in New York. While in the US, I ate a lot of burgers and they were all so much better than what Sydney had to offer. At that time, I was right into molecular gastronomy, but I returned to Lotus with the realisation that I didn’t care about being different. I just wanted to cook food I wanted to eat. The cheeseburger was an epiphany. My time at Longrain was so important in terms of the training I received. It taught me technique and helped further develop my palate. This is a version of the Aussie staple – sweet and sour pork – that was inspired by my first year of cooking at Longrain. I’d been eating pigs’ feet for years but Longrain’s caramelised pork hock with chilli vinegar was crazy good. Mr Hong by Dan Hong, published by Murdoch Books $39.99. This article first appeared in Good Food.